The famous music and dance of Folies d’Espagne are comprised of short, highly expressive pieces. Each variation reveals an individual temperament that inspired its choreography. With this video, viewers can uncover secrets of dance interpretation, savor its beauty, and better understand the unique relationship between dance and music in the French Baroque style. 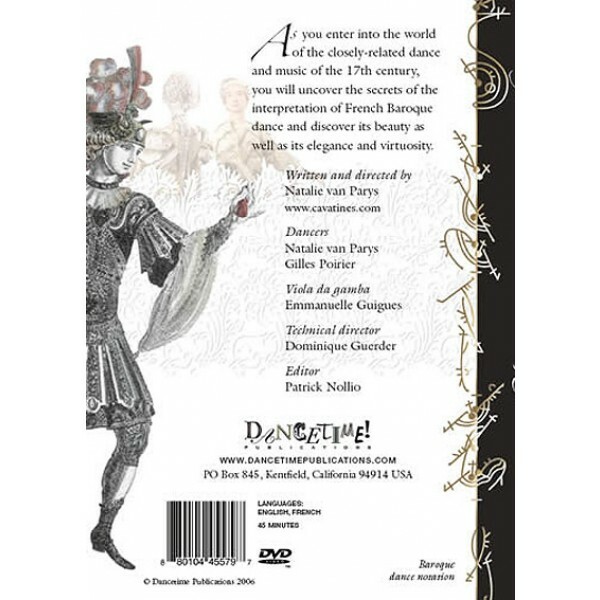 Rich and entertaining, it provides an in-depth view of the artistic process of bringing Baroque dance alive for generations to come.Gorgeously layered with a wealth of historic architectural and artistic images, the video exemplifies five important characteristics of French Baroque dance: dance notation, treatment of space, arm embellishments, relation to music, and interpretation by the individual dancer. 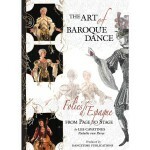 The Art of Baroque Dance: Folies d’Espagne from Page to Stage DVD presents the most important elements that enable us to understand, appreciate, and explore the preservation of Baroque dance.A segmented performance of historical French Baroque dance written and directed by, and featuring, Natalie van Parys. King Louis XIV, an excellent dancer, ordered the invention of a notation system to record, codify, teach, and spread the art of 17th century French Baroque dance. Given its ephemeral characteristics, dance was previously difficult to preserve over long periods of time. This invention combined with director/choreographer Natalie Van Parys’ wealth of dance heritage knowledge brings us this fascinating and well-curated performance on DVD. Natalie van Parys is a gifted dancer and choreographer honored for her accurate treatment of historical knowledge within her many international productions. She has worked with such companies as Ris et Danceries and L’Eventai and created the companies Les Fragments Réunis, Les Cavatines. Van Parys has studied under Francine Lancelot and served as her production assistant for Le Malade Imaginaire at the Théâtre du Châtelet in 1990 and for Zarandanzas presented at the Biennale de Lyon in 1992. She has performed several times at the BAM in New York and the Jacob’s Pillow Festival. Van Parys also created the staging and choreography of six successive baroque operas for the Hokutopia International Festival of Music in Tokyo. 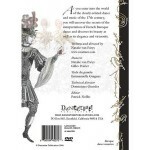 A dance historian, Van Parys translated and studied the Italian treatise on dance, Tratatto di ballo di Gennaro Magri, the only text that links baroque dance to the classical ballet of the end of the 18th century. She used the technical and stylistic elements from the treatise in her choreography for La Fée Urgèle by Duni and Favart, performed at the Opéra Comique with Christophe Rousset and staged by Jean-Marie Villégier. She is renowned for the staging of a performance dedicated to the works of her grandfather, Georges van Parys, a composer who wrote songs such as La complainte de la Butte. Les Cavatines, her latest company, is dedicated to the preservation and production of the French tradition in the lyrical arts: dance, musical theatre, comedy, and operettas.